Take Advantage of Best Pricing! Phase I is underway with five new home plans and showcase homes under construction for quick move-in at Hamilton Park. 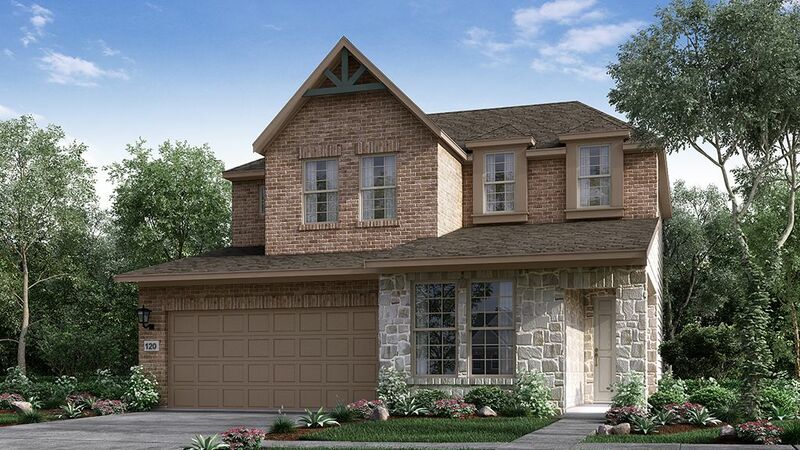 New build Carrollton homes start from the mid $300s. Get in early for the best selection of homesites and pricing. Invite a friend. Bring the whole family. Plan your visit and see how buying a new home in a master planned community in Carrollton, TX can elevate your outlook on life.Amplify Your Model Home Experience To truly experience our professionally decorated Freesia model you need to make a day of it. To spend time not only taking notes on the latest interior design trends but also soaking up the full Hamilton Park lifestyle. Cool off with a cold drink at Beachcomber Grill and Bar. Grab a tasty lunch at Hard Eight BBQ. Get to know the neighborhood. See where you’ll buy your groceries and discover how everything you need is so close to the community.Live, Work and Play in Carrollton Some of the best upscale shopping destinations and fine dining establishments are just minutes away from Hamilton Park including Willow Bend Mall, Shops at Legacy and a multitude of other retail, dining and entertainment establishments along Sam Rayburn/121 and Dallas North Tollway. In addition, medical services nearby include Baylor Scott and White of Carrollton, Texas Health Presbyterian Hospital of Plano, Children's Medical Center, Baylor Plano, and Centennial. Major employment centers are conveniently located nearby including Freddie Mac, Toyota, Liberty Mutual, JP Morgan Chase, Fedex, JCPenney, Frito Lay, Ericsson, Pizza Hut, Hewlett Packard and Denbury.